Mallorca’s best bicycle tours – We take you to the most beautiful places! 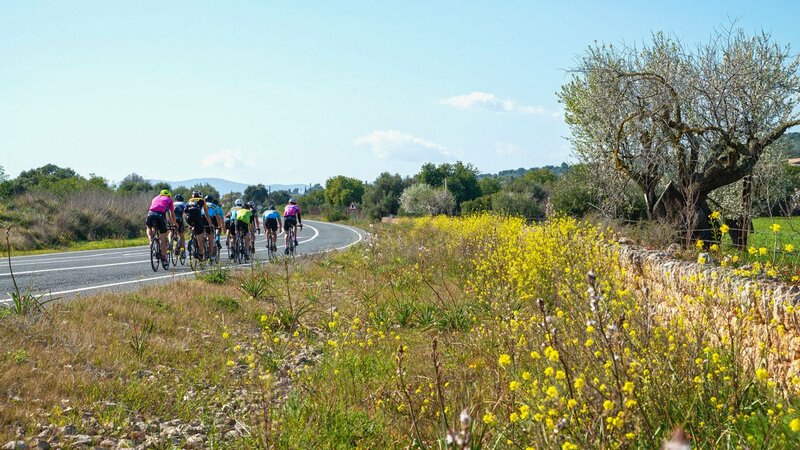 It is no longer a secret that Mallorca is a paradise for cyclists and that there are many beautiful bicycle tours. Not only the Telekom team has been training on Mallorca for years. Mallorca is an absolute Mecca and paradise for nature and cycling lovers with around 300 sunny days a year and its varied landscape, kilometers of well asphalted roads leading through dreamy picturesque villages, along the most beautiful coastal roads and finest sandy beaches to the orange and lemon groves. Mountain bikers will also enjoy the beautiful, secluded paths and descents through the spring-scented pine forests and colourful flower meadows. From easy bike tours to challenging routes in the Tramuntana mountains, there is something for everyone. The most beautiful bicycle tours on Mallorca: There are particularly beautiful bicycle tours here like sand at the sea. You can find the 20 most beautiful bike tours here. Whether you start at the Cap Formentor, in Alcudia, Can Picafort, Pollenca or at the Playa de Muro. The northeast with its beautiful nature invites you to long tours, as you can end the afternoon at the magnificent bay Badia d’Alcúdia. This is the largest bay of Mallorca. If you should decide for a route in the northeast, we have also directly the suitable Beach Bar recommendation for you. Recommendation Ponderosa Beach: After a long bicycle tour there is nevertheless nothing more beautiful than a goal, much better still a culinary goal. Get out of your saddle and shoes and into the fine sandy beach. The Ponderosa Beach is located directly on the kilometre-long, almost caricature-looking sandy beach and finally opens its doors again on 8.4.2019 to start the new season. Here you can end the afternoon with friends with a refreshing drink and a Mediterranean paella directly at the sea. A reservation in advance is recommended. www.ponderosabeach.com Not yet the right bike? We have the right address for you. Bike rental Mallorca – Hürzeler. One of the absolute specialists in cycling in Mallorca is, without a doubt, Hürzeler Bicycle Holidays. Max Hürzeler as a former world champion and absolute expert in the field is synonymous with competent and professional advice, and has over 13 cycling stations, one of the largest and always where you need it. We thank Komoot for the best tour tips and wish you a good trip!